Home / Shop / Fairy Houses / Solar Houses / Solar Toadstool House. Size 26cm high -18cm wide. 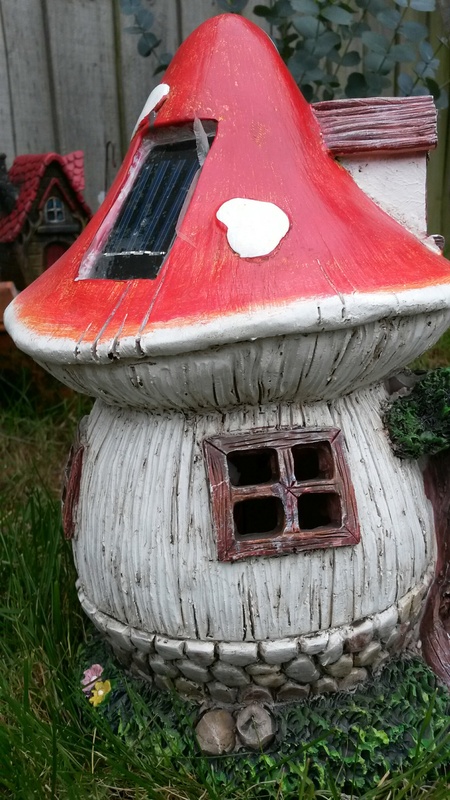 This beautiful toadstool house comes with a red roof,cream stem. 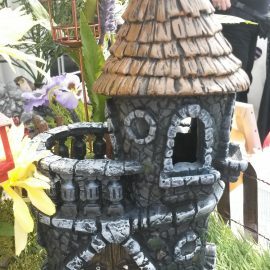 It has a front door with step leading up to it,3 window around stem and 1 in the roof. 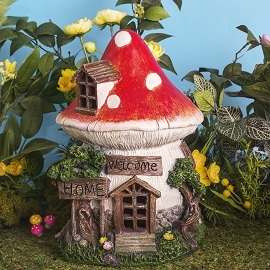 It has 2 sign, 1 saying Welcome and 1 saying Home, there are trees growing around the whole house.